According to the South African department of energy (DoE), energy security in the South African context means ensuring that diverse energy resources, in sustainable quantities and at affordable prices, are available to the South African economy in support of economic development and poverty alleviation, taking into account environmental management requirements. In considering this definition of energy security it is apparent that the mitigation of climate change, through reduced greenhouse gas emissions and the incorporation of renewable energy into the South African energy portfolio, is also necessary. In 2008 more than 90% of South Africa’s electricity was produced from coal, with nuclear energy making up most of the balance. Growing energy demand and concerns over the environmental impact of coal-fired power generation has led the DoE to develop programmes like the Integrated Resource Plan (IRP), the Integrated Energy Plan (IEP) and the Renewable Energy Independent Power Producer Procurement Programme (REIPPP) which are all aimed at diversifying South Africa’s energy portfolio through the incorporation of alternative energy technologies, both renewable and non-renewable. These alternative technologies will also include the utilisation of natural gas and landfill gas for power generation. Development of regional gas-fields will lead to natural gas becoming a more significant fuel source in South Africa. With the availability of natural gas in neighbouring countries like Mozambique and Namibia, and the discovery of offshore gas reserves in South Africa, the gas industry in Southern Africa is set to undergo a renaissance. This notion is further supported by the DoE’s imminent release of its Gas Utilisation Master Plan (GUMP) which sets the tone for the role natural gas could conceivably play in electricity output in South Africa. Natural gas, while not renewable, is an abundant, clean low-carbon fossil fuel that is projected to become a significant fossil energy medium in the next 50 years. Similarly the DoE’s target of incorporating 17.8GW of renewable energy capacity by 2030 into the South African energy mix also includes the use of biogas for power generation albeit to a lesser extent than the allocations made to other renewable technologies. So what do these two scenarios have to do with something called CH4 you might ask? Well at the heart of both natural and landfill gas is CH4. CH4 is the chemical formula for methane and it is the main component in natural gas and biogas. Methane is produced by the breakdown of biodegradable material in landfills, waste water treatment plants (sewage works), swamps and marshes but is also found in oil, gas and coal deposits. Natural gas originates from plant and animal matter which decomposed millions of years ago and is now located in reservoirs under the earth’s surface. Natural gas is primarily comprised of methane with other gases in smaller proportions. The composition of natural gas can vary significantly from one location to another. Dry natural gas consists nearly entirely of methane. Wet natural gas contains less than 85% methane but has a higher percentage of liquid natural gases (LNG’s) such as ethane and butane. Natural gas can be further classified as sweet or sour depending on sulphur compounds present in the gas. The combustion of natural gas produces around 40 to 50% less carbon dioxide than when coal is burned to produce the same amount of energy and it is for this reason that it is often referred to as the cleanest fossil fuel. Biogas, on the other hand, is a form of renewable energy produced from organic matter through a biological process. 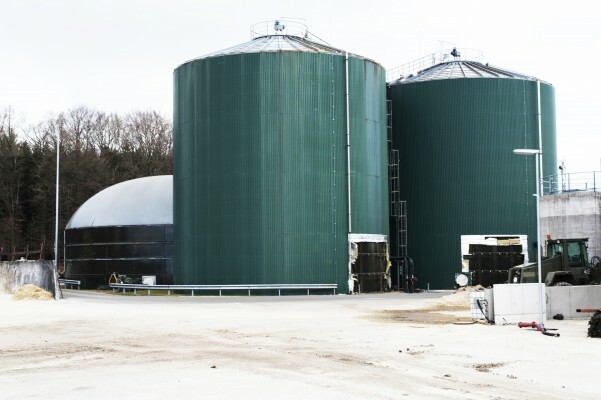 It is typically derived from anaerobic digestion or fermentation processes and can be produced from various organic feedstocks including biomass, wastewater sludge, agricultural waste and municipal waste. Landfill gas (LFG) is a type of biogas that is produced from municipal solid waste. LFG is a natural by-product of the decomposition of organic material in municipal solid waste under anaerobic conditions. LFG consists of roughly 50% methane and 50% carbon dioxide, with less than 1% of non-methane organic compounds and trace amounts of inorganic compounds. Behind the struggle to address global warming and climate change lies the increase in greenhouse gases in our atmosphere. While carbon dioxide is typically painted as the bad boy of greenhouse gases, methane is considerably more potent as a heat-trapping gas than carbon dioxide, so its prevention of escape from landfill sites into the atmosphere and its utilisation as a renewable fuel source for power generation is advantageous. 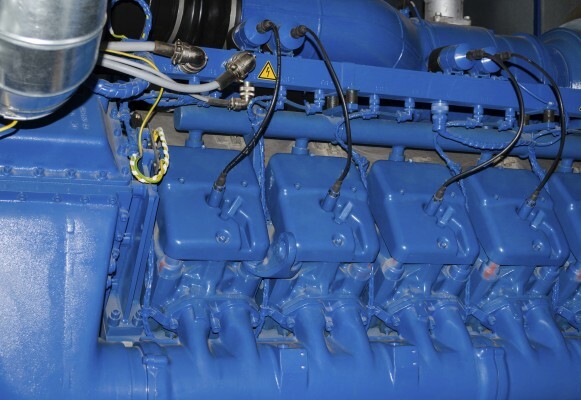 The search for inexpensive and reliable energy has prompted interest in natural gas which in turn, has increased the popularity of stationary gas engines. It has also led to the growing use of alternative gases, such as LFG. As a result of this increased popularity, the use of gas engines for power generation has become more prevalent and with estimates that up to 25% of worldwide electricity demand will be generated from gas by 2025, this trend seems likely to continue. But what exactly is a gas engine? Well that depends on who you ask but for the purposes of this technical bulletin, a gas engine will refer to a heavy-duty industrial engine used for power generation or cogeneration which is the simultaneous production of electricity through the recovery and utilisation of heat generated from the engine. Simply put, a gas engine is an internal combustion engine running on gas such as natural gas, biogas, landfill gas or coal gas. Gas engines are generally categorised as two stroke, four stroke and four stroke duel fuel. The basic stationary gas engine and generator used for the production of power consists of four main components – an engine, a generator, a heat exchanger or heat recovery system and finally a control system. Once the gas is burnt in the cylinders of the engine, the force turns a crank shaft within the engine. The crank shaft turns an alternator which results in the generation of electricity. Heat from the combustion process is released from the cylinders. The released heat is either recovered and used in a combined heat and power configuration (CHP) or dissipated via radiators. Lastly there are electronic control systems which manage the whole process to ensure optimum performance of the generator set. Gas engines are normally operated as stationary continuous generation units, but can also function as peaking plants to meet fluctuations in local electricity demand. They can generate electricity in parallel with the local electricity grid, in island mode operation, or for power generation in remote areas. Gas engines operate on similar principles as petrol (spark ignition) engines but there are some differences in the construction and operation of gas engines compared with other types of internal combustion engines. For one thing, gas engines usually operate at a lower compression ratio and higher combustion temperatures than the average diesel engines. Added to that, the volumetric efficiency of gas engines is generally lower than petrol engines because the volume of the gas required to achieve the same energy output is considerably larger than that for liquid fuels. This also means that the gas engine is slower to respond to rapid fluctuations in demand. In terms of the lubricants they use, the primary difference between gas engine lubricants and other internal combustion engine oils is the need to withstand the various levels of oil degradation caused by the higher operating temperatures, as well as the combustion process of gas fuels that contain varying impurities depending on the source and quality of the gas fuel. As a result of these higher operating temperatures, oil degradation modes like oxidation and nitration need to be monitored closely. Gas engines also tend to burn cleaner than diesel engines, with no soot contamination, which allows their lubricants to be formulated with lower ash levels and as they burn gaseous fuel there is no danger of fuel dilution. 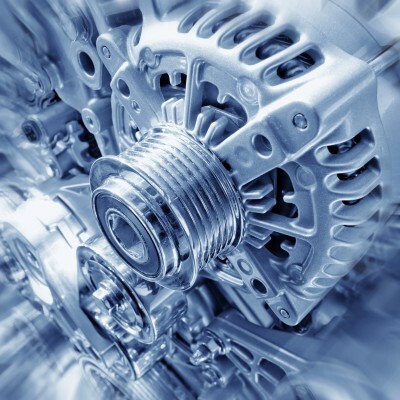 Even though gas engines may differ in many areas, their objectives in terms of condition monitoring remain the same as that of any internal combustion engine. 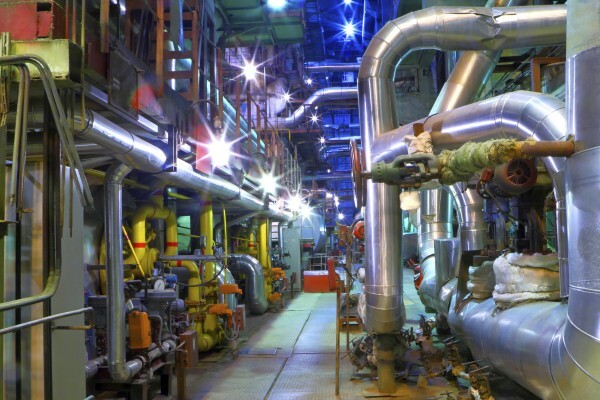 Gas engine OEM’s acknowledge the importance of monitoring equipment to improve plant reliability and reduce costs, as even the most comprehensive routine maintenance programme cannot stop faults developing in machinery. One of the most effective and least expensive condition-monitoring techniques available to gas engine operators and OEMs is oil analysis as it provides a wealth of information about the lubricant’s condition, contaminants and the mechanical wear taking place. When oil analysis results are trended over a period of time potential problems can be identified and this in turn helps machine-operators schedule the appropriate maintenance and avoid costly repairs and reduce machine downtime. In this article, we will look at what oil analysis can measure in terms of the first three functions of oil analysis, which are; to detect abnormal wear, contamination and oil degradation. Active monitoring of the above provides early warning of abnormal operating conditions that can lead to catastrophic failures in gas engines if not detected and corrected. Commercial oil laboratories employ varying techniques when it comes to detecting (quantifying and classifying) wear particles in oil, each with its own strengths and limitations. The most widely used and OEM-requested laboratory techniques will be described below. The spectrometer is used to determine the presence and concentration of different elements in the oil. These are measured in ppm (parts per million). This is a very small unit and 1 ppm = 1/10 000th of 1%. The measured elements are usually divided into three broad categories: wear metals such as iron, contaminants such as silicon and oil additives such as calcium. Another important function of oil analysis is to verify the oil in use and this can be done by comparing the physical and chemical characteristics of the in-service lubricant to those of the unused product. The spectrometer is one of the laboratory tests that can be used to verify the oil in use as it measures the concentration of additives in the oil. This is an important function in any application but especially in gas engines as the formulation of gas engine oil is a delicate balancing act that hinges on ensuring that the correct concentration of additives is present in the oil, while at the same time limiting the resultant ash content of the oil. Since every engine burns a small amount of lubricating oil, and since many types of alkaline additives are ash producing when burnt, they contribute to the formation of ash deposits in the combustion chamber. As natural gas engines can burn large quantities of lubricating oil during operation, engine manufacturers limit the amount of ash producing additives in the oil. The ash is the portion of the lubricant that is left behind as a deposit after complete burning of the oil during operation. It is a whitish-grey deposit and comes from calcium and magnesium containing detergent additives. The amount of ash deposits that form in an engine is related to a lubricant’s formulation and oil consumption of the engine. Gas engines do not produce soot and there is no liquid fuel to help lubricate the intake and exhaust valves. As a result of this, gas engines are dependent on the lubricant ash to provide lubrication between the hot valve face and its mating seat. Too little ash can accelerate valve wear, while too much ash may lead to valve guttering and subsequent valve torching. Added to this, excessively high concentrations of certain zinc or phosphorus containing anti-wear additives can also be harmful to catalyst equipped natural gas engines, as these additives may deactivate the exhaust catalyst by forming glassy-amorphous deposits which prevent the exhaust gas from reaching the active surfaces of the catalyst, which in turn impairs the catalyst’s ability to control harmful emissions. Ensuring the correct oil usage can help minimise downtime as a result of unscheduled maintenance and ultimately promote optimal engine performance. Unfortunately the spectrometer can only measure very small particles in the oil, usually less than eight microns in size. The instrument cannot ‘see’ larger particles that might indicate a severe wear situation is developing. It is for this reason that the following two tests should also be performed as part of a standard gas engine oil analysis programme. The PQ index or ferrous debris monitor provides a measure of the total ferrous content of the oil sample and from this measurement the total amount of ferrous (iron) debris can be determined irrespective of the particle’s size. Wear metal particles detected by spectroscopy are typically less than 8 microns in size. These small particles can be generated by benign rubbing wear. Larger particles are generated by more severe wear modes such as fatigue wear, cutting wear and sliding wear. These larger ferrous particles present in the used oil sample can be detected by using the PQ method. In terms of wear particles, their morphology and quantity provide direct insight into overall engine health. An MPE is performed by filtering the oil through a membrane patch of a known micron rating and any debris present is examined under a microscope. The membrane patch is examined for wear, contamination and colour. An MPE can provide clues to the source of the debris and the potential severity of a problem that may be causing it. The individual particles themselves are not categorised but instead observations are recorded for trending purposes using a size and concentration reference matrix. The third major function of oil analysis is to monitor levels of contamination. Contaminants can be classified as either internal or external. Internal contaminants are generated within the mechanical system, such as, fuel dilution and by-products of combustion like soot in the case of a diesel engine. However, because gas engines tend to burn cleaner than their diesel counterparts, they do not produce soot and as the fuel used is gaseous in nature, fuel dilution is not a concern. External contaminants are substances that exist in the environment but should not be in the oil. The most common ones are dirt and water. Contaminants can be directly damaging to the machinery being lubricated; dirt is abrasive and can cause components to wear abnormally; and water causes metals to rust. Contaminants can also cause the oil to degrade which, in turn, may have an adverse effect on a mechanical system. Silicon detected in the oil by the spectrometer can have many sources – as a wear element, air-born dust, additive, silicone based gasket compounds. However, in engines running on biogas the silicon detected in the oil could also be a combustion by-product. You might not have heard of siloxanes (silicone containing compounds), but there is no doubt that you have come across them in your everyday life. They play an important behind-the-scenes role in our daily lives; they wash our hands, brush our teeth, clean our clothes and even print our newspapers. Siloxanes are most widely used in the cosmetics industry but are also used in the manufacturing of plastic products and even in the food industry as an oil substitute to create low-kilojoule food products for the diet conscious. When siloxane-containing products are disposed of into anaerobic treatment systems, they volatilise into the biogas. These siloxanes are found with the methane and carbon dioxide produced from the decomposing organic matter in anaerobic digesters and at landfill sites and contaminate the gas which is used to fuel engines for power generation. Biogas and landfill gas can contain one or more species of siloxanes depending on the organic feedstock used to produce the gas. When these gases are burned as fuel in gas engines, deposits of solid silica or silicates will adhere to the cylinder heads, pistons and heat exchanger surfaces, causing a variety of problems. These piston and cylinder head deposits are very abrasive, reduce clearances between the piston ring and liner and subsequently alter the compression ratios resulting in unburned fuel which can cause damage in severe cases through back-firing, but generally contaminates the exhaust gas and increases undesirable emissions to the atmosphere. 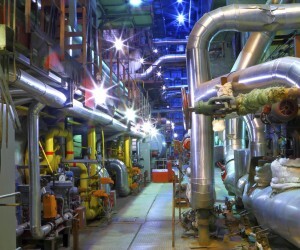 Siloxane damage can be severe, causing unscheduled maintenance, reduced generation capacity, and increased operating costs and ultimately engine failure. It is for this reason that many gas OEMs recommend direct monitoring of silicon build-up in the engine oil. Water can exist in three phases in oil: dissolved, emulsified and free. Different oils have different water contamination handling abilities depending on the base stock and additives used during formulation. The amount of water oil can carry in solution is known as the saturation point. Once this point is reached, any additional water added will form an emulsion or fall out of suspension as free water. Water is one of the most destructive contaminants in a lubricant and can cause a wide range of operational problems and significantly affect engine reliability and longevity. It causes additive depletion, base oil oxidation and impairs the oil’s film strength. Water contamination also sharply increases the corrosive potential of acids found in gas engine oils. Water contamination of gas engine oils usually leads to the formation of an emulsion, which reduces the overall usefulness of the oil. Water leads to increased wear and ultimately reduced engine life. PULL QUOTE: Contaminants can be directly damaging to the machinery being lubricated; dirt is abrasive and can cause components to wear abnormally.